It has previously been observed that parents are often incapable of recognising genetic differences between their offspring and the offspring of another parent in their nest. The study is the first to show how this surprising inability may have arisen through a phenomenon known as Crozier’s effect. For this effect to work, it is crucial that the individuals can act, in their lifetime, as both hosts and parasites. Parents might detect a foreign ‘cuckoo’ offspring by comparing its genetic features with their own. The scientists worked out what the effect of carrying a rare genetic feature used to identify parasitic offspring would be in comparison with a common feature. 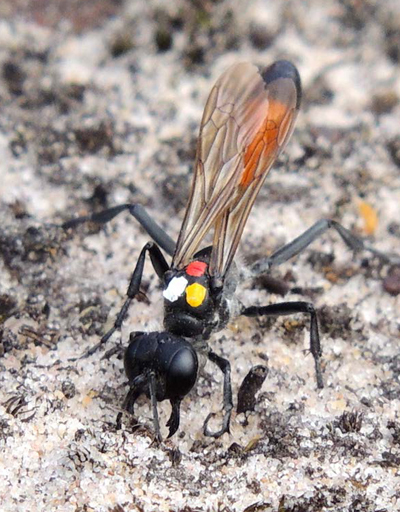 In the Digger wasps they studied, rejection involves considerable wastage of resources, because an offspring is thrown out of the nest along with some of the food that was provided for it. The researchers showed that because wasps with a rare feature would less often match other wasps, they would be involved in more of the wasteful rejection interactions. Since being different is therefore a disadvantage, rarer genetic features associated with recognition may have died out, so that everyone looks the same. Recognition based on genetic features cannot then Toccur. The study is published in Current Biology and was partly funded by the Natural Environment Research Council. Lead author Professor Jeremy Field of the University of Exeter said: “Females of many species sneak their offspring into the care of other parents, offloading the effort of nurturing the offspring. Despite genetic differences, the parents are often incapable of differentiating between the parasitic offspring and their own, and are not able to reject them on this basis. Brood parasitism, where some individuals put their offspring into the care of other parents in the hope that they will raise them, is seen in many insect, bird and fish species. The scientists investigated how genetic differences between offspring, and the ability to recognise them, are linked to the behaviour. The researchers then inserted foreign offspring into the burrows of other wasps experimentally. They showed that there was no difference between the rates of rejection of foreign versus own offspring, suggesting that host wasps were indeed incapable of detecting the difference. The findings may explain why other organisms, including many bird species, are also often incapable of determining the difference between their own offspring and parasitic offspring.